What Comic Should I Read Next? You look at your bookshelf, hoping for inspiration. Sadly, you’ve read all the paperbacks on your shelf, and the next installment of your favorite series won’t be released for another month. What’s worse, you are getting tired of reading the same old dystopian YA thrillers, memoirs about women who find their way, and nonfiction accounts of grisly murderers. Sounds like a bookworm’s nightmare, right? Well, never fear! 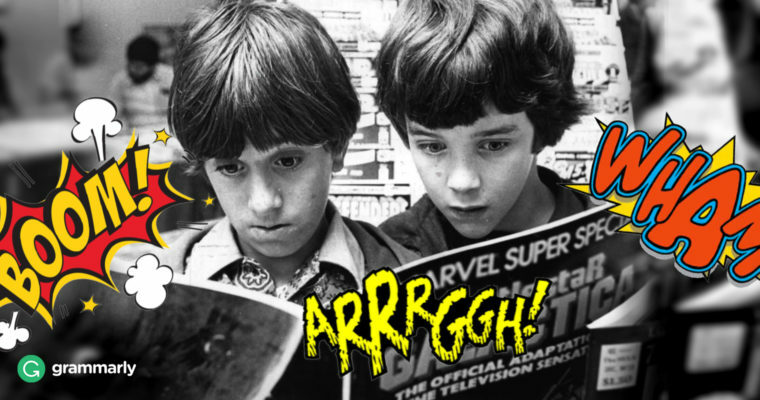 In honor of comic book lovers everywhere, we’ve decided to take some of our best nerd knowledge and put together a graphic novel reading guide for every geek persuasion. Even if you’ve never attempted to buy an issue (the small “comic books” your dad has), a trade (a collection of three to four issues), or a graphic novel, you can easily jump into one of these accessible picks. Enjoy! This graphic novel doesn’t just make an amazing musical, it’s a heart-wrenching, beautifully told tale. Even if you didn’t get to see its Tony-winning run on Broadway, you can still capture the multilayered emotions of Alison Bechdel’s coming-of-age tale. Bechdel is well-known for her women-in-cinema movie test, but she also weaves a beautiful memoir from her real family. If Fun Home leaves you wanting more of the complicated dynamics in her well-drawn family, you can always come back for seconds in Are You My Mother?, the sequel to Fun Home. Of course, many readers turn to comics for the superheroes, and there’s nothing wrong with that! The newest reboot of the Black Panther series is just the right combination of witty and punchy. With award-winning writer Ta-Nehisi Coates at the helm, this beloved series has added some literary power to its superabilities, and Coates’s touching essay on why he agreed to write the series shows that superhero comics can have brains behind the brawn. A word of warning, this series is limited to eleven issues, so get it while it’s hot. Not to fangirl, but the newest Ms. Marvel may be the best yet. Kamala Khan may have strong and unexplained powers, but she still has to deal with bullies, boys, and an ongoing obsession with the superheroes who often accompany her. Although there are a few really good teen-focused heroes in the mix right now, Ms. Marvel is the perfect blend of angsty, witty, and concerned about making it back home before her parents notice. If you love to check out the YA section of your local bookstore, this will be your jam. A quick disclaimer: Persepolis isn’t really historical fiction. It’s an autobiographical graphic novel about Marjane Satrapi’s real-life experiences growing up in Iran. However, the well-told story and engaging black-and-white illustrations will make you think you’re in a period piece. Also, Marjane’s matter-of-fact recounting of events, balanced with emotional honesty, will keep you reading through both volumes. As someone who hopped on the Monstress train far too late, I cannot apologize enough. This is a powerful series with sometimes-dark themes, and is the perfect graphic complement to your A Song of Ice and Fire binge-reading. There may not be dragons (yet), but you’ll be surprised by what you find instead. If you walk into a comic book store and ask someone what you should start with, most of the time they’ll say Saga. This series has been around for a while, and its popularity may cause some to think it has been over-hyped. However, if you keep reading, it only gets better with age (as does its narrator, Hazel). You’ll fall in love with this space-age family so much you might just forget the name “Kylo Ren” for a few days. Этот классный веб сайт про направление daclatasvir.